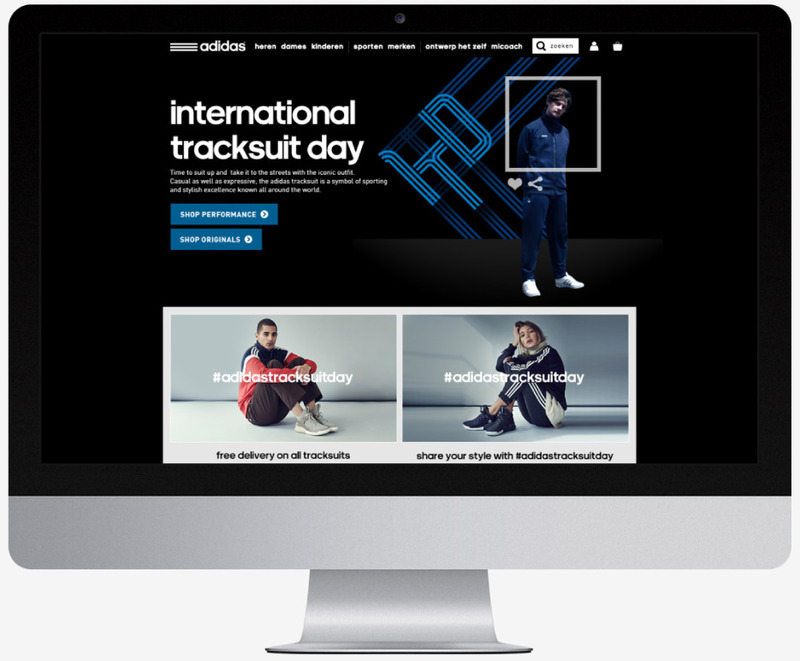 We created an on-site experience on the landing page /tracksuit_day. From a design perspective we wanted to create an almost cinematic experience, where every scroll represents a frame of the narrative. We engaged the user with video and invite them to play with the scroll and seeing how the elements interact with the canvas. We used parallax in a mobile-friendly and responsive manner.